1. Chocolate Covered Strawberries - Strawberries and chocolate have always been a great combination. If you can find ripe strawberries locally and have a flair for desserts, you can make these at home. If you don't have the time or inclination, you can order chocolate covered strawberries online and have them shipped via overnight air for a fresh and memorable Valentine's Day treat. 2. Bouquets Of Cookies - You know he might not appreciate flowers, but how about cookies arranged in a bouquet? Cookie gift bouquets typically consist of plain or iced cookies attached to wooden sticks and artfully arranged in a bouquet like flowers. The heart-shaped cookies make a "sweet" Valentine's Day gift. 3. Heart-Shaped Cheesecake - Cheesecake is a rich and decadent dessert that will leave him satisfied, and the heart shaped design makes this a unique Valentine's Day gift idea. 4. Fine Chocolates - Most men enjoy chocolate too, and the right selection will be a big hit. Does he like dark chocolate, milk chocolate, or white chocolate? The last time he bought some for you, did he eat all the coconut creams, or the nut clusters? Buy him a box filled with his favorite varieties and your Valentine's chocolate gift will be met with delight. 5. Wine or Champagne & Chocolate Truffles - Pick up a bottle of his favorite bubbly and a box of fine chocolate truffles and you have a memorable duo indeed! If you don't know what kind he likes, your local wine shop is sure to have some recommendations. 6. A Romantic Candlelit Dinner At Home - Try putting a different spin on his favorite dish by setting a special table with your best dishes, candles and soft music in the background. You could even serve one of these other gift ideas for dessert. 7. A Gift Certificate To His Favorite Restaurant - Does he have a favorite restaurant that he loves but he rarely gets to visit? Get him a gift certificate so he can dine in style. Don't forget to buy one large enough so he can take you with him! For a real treat, you can make the reservations too and he'll look forward to his evening out with his Valentine. 8. Gourmet Gift Basket - For the man who likes a little of everything, a Valentine's Day gift basket could be just right! Gift baskets typically have lots of different items for him to sample, and smaller designs are usually modestly priced. 9. Bouquet Of His Favorite Candy - If your man has a sweet tooth, try one of these festive Valentine gifts. The candy is attached to wooden or wire stems and arranged in a bouquet like flowers. Only these flowers are edible! 10. Delectable Caramel or Chocolate Drizzled Popcorn - He may never eat microwave popcorn again after tasting fresh-popped gourmet popcorn in one of these unforgettable flavors. 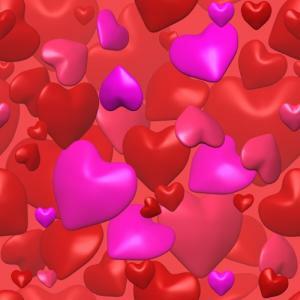 Valentine's Day popcorn gift tins are available in hearts and other romantic designs that make this an enjoyable idea. Bill Smith is the owner of www.aagiftsandbaskets.com which offers a huge selection of Valentine's Day gift ideas for your Valentine. Offering gourmet gift baskets, chocolate, cookies, chocolate covered strawberries, flowers and more. Send them a memorable gift this Valentine's Day from AAGiftsandBaskets.com.